Over the past couple years Greg Grimes with Aquatic Environmental Services, Inc., has been working closely with Jeff Foxworthy to create a one-of-a-kind master planned lake designed specifically for growing trophy large-mouth bass. Extensive habitat structure, ridges, brush, feeders, etc were carefully placed during construction. GPS data points were recorded for each location and placed on a map for future reference. 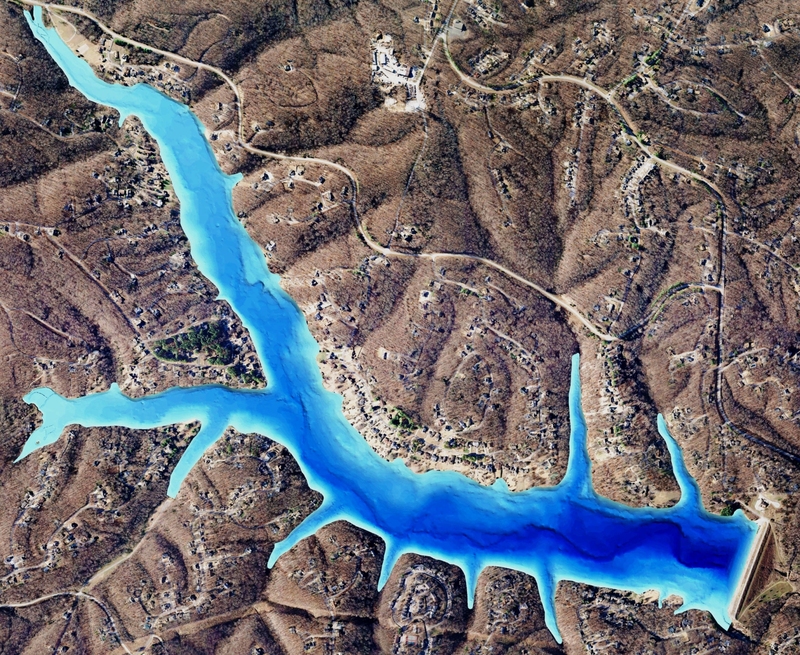 Once the lake was full the client had the lake mapped utilizing The Mapping Network’s lake mapping technology to reveal this unseen, underwater world. 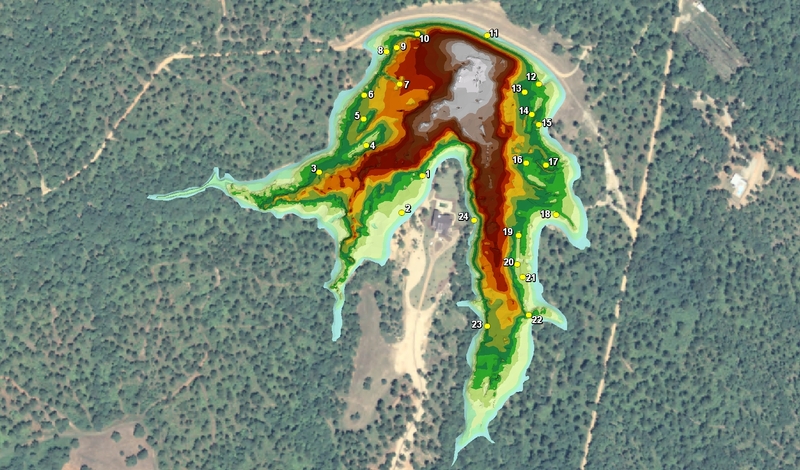 Combining sub-foot accurate equipment and depth accuracies of up to 1/10th of a foot, the resulting maps provided an amazing picture of the bottom of the lake. 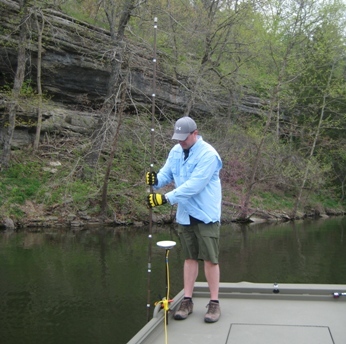 The Mapping Network was able to provide a series of maps including a special map highlighting the ideal fishing zones in the range of 4 feet to 16 feet deep at 1 foot intervals. This lake map shows the angler exactly where the fishing hot spots are located on the lake. A virtual fly-over and swim-through were generated to show friends, family and guests what the lakes looks like under water. This technology greatly assists the anglers knowledge of the lake and will improve the likelihood of catching a big one! 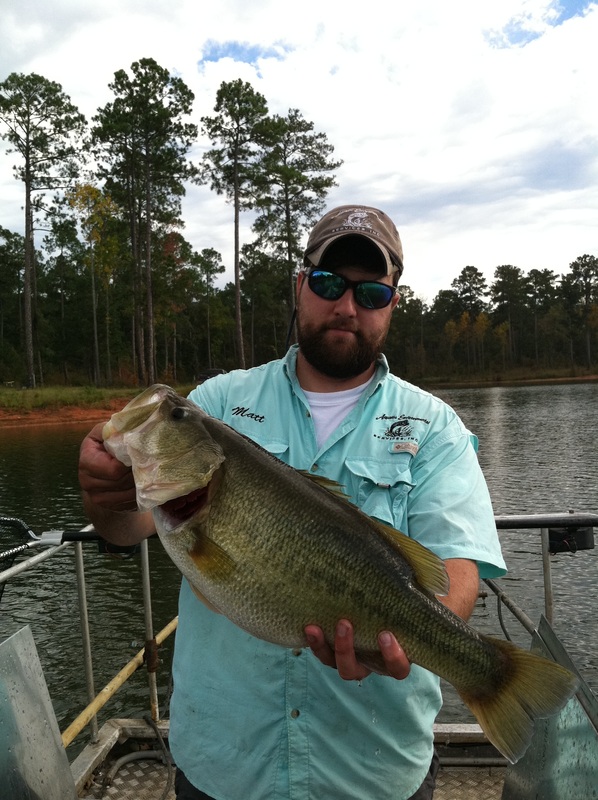 Professional lake management company, Aquatic Environmental Services, have created an environment where trophy bass are prospering. This entry was posted in Lake Map and tagged aerial lake map, Aerial Map, Aquatic Environmental Services, Bathymetric Map, Bathymetry, Dredging, Fishing, Georgia Bathymetry, Georgia Lake Map, Georgia Trophy Bass, GPS, GPS Lake, GPS Map, Greg Grimes, Habitat, Jeff Foxworthy, Lake Management, Lake Map, Lake Mapping, Lake Survey, Sediment, Sedimentation, Survey, texas fishing, Texas Lake Map, Texas Map, The Mapping Network, Waterfowl on January 12, 2012 by Moderator. 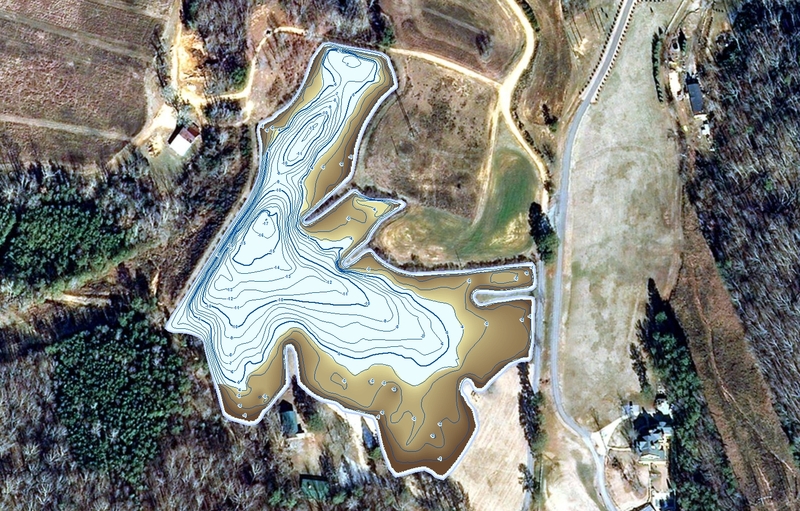 Bathymetric Lake Mapping was performed by Greg Grimes with Aquatic Environmental Services for a landowner in rural Georgia. The purpose of this project involved mapping the current lake depths and isolating areas for future dredging. In order to avoid large costs and help the owner budget for sediment removal, Aquatic Environmental Services located the areas where the current depth was less than four feet, which will be the dredging zone. 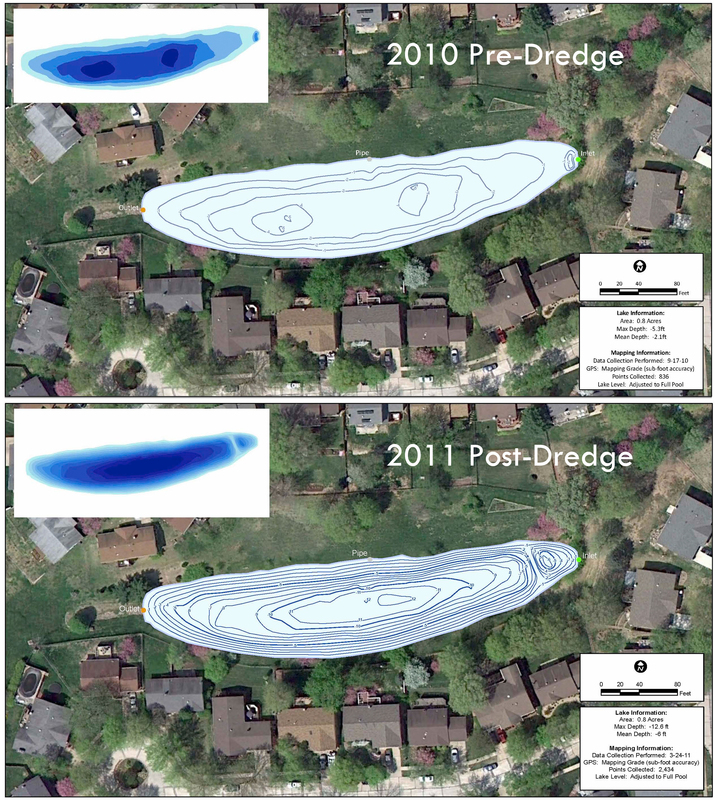 The mapping techniques utilized in this project helps Aquatic Environmental Services accurately calculate and isolate areas of high sedimentation for removal and helps the property manager budget accordingly. This powerful information allows for smart management and planning decisions and will serve as a baseline for future projects. Map showing area less than 4 feet deep which will be dredged to produce a minimum depth of 4 feet. The brown color-shades show the amount of material to be excavated. This entry was posted in Lake Map, Sediment and tagged Aquatic Environmental Services, Dredging, Fishing, Georgia dredge, Georgia dredging, Georgia Lake Map, GPS Lake, GPS Map, Greg Grimes, Habitat, Illinios Lake, lake, Lake Management, Lake Map, Lake Mapping, Lake Survey, map, Pond, Sediment, Sedimentation, Survey, The Mapping Network on January 18, 2011 by Moderator.